"You have the full weight of the world on your shoulders." Focus Features has debuted the second trailer for Joe Wright's Darkest Hour, the second film this year about Winston Churchill (the other one is called Churchill starring Brian Cox). This film already played at the Telluride and Toronto Film Festivals to some rave reviews, especially for the lead performance by Gary Oldman under heavy prosthetic as Winston Churchill. The focus in this film is on Churchill's first few days as Prime Minister, deciding whether or not to agree to a peace treaty with Nazi Germany or fight back and rally the troops waiting in Dunkirk. The cast includes Lily James, Ben Mendelsohn, Stephen Dillane, Kristin Scott Thomas, Charley Palmer Rothwell, Ronald Pickup, Nicholas Jones, Hannah Steele, and Jeremy Child. This is a slick trailer that ratchets up the intensity and shows how powerful Oldman is as Churchill. I still can't wait to see this. You can still watch the first official trailer for Joe Wright's Darkest Hour here, to see more footage. Within days of becoming Prime Minister of Great Britain, Winston Churchill (Gary Oldman) must face one of his most turbulent and defining trials: exploring a negotiated peace treaty with Nazi Germany, or standing firm to fight for the ideals, liberty and freedom of a nation. As the unstoppable Nazi forces roll across Western Europe and the threat of invasion is imminent, and with an unprepared public, a skeptical King, and his own party plotting against him, Churchill must withstand his darkest hour, rally a nation, and attempt to change the course of world history. 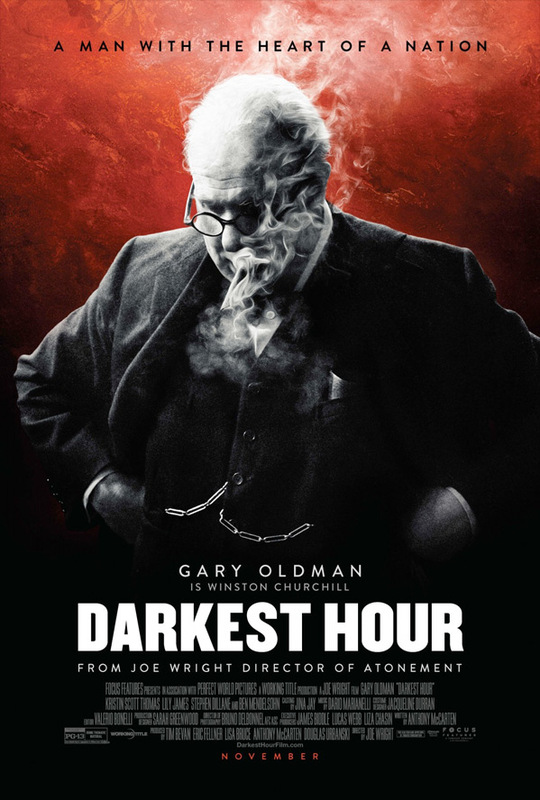 Darkest Hour is directed by acclaimed Golden Globe-nominated English filmmaker Joe Wright, of the films Pride & Prejudice, Atonement, The Soloist, Hanna, Anna Karenina, and Pan previously. The screenplay is written by Anthony McCarten. Focus Features will release Darkest Hour in select US theaters starting on November 22nd later in the fall. First impression?